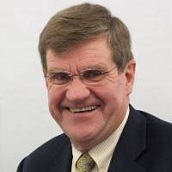 Roger Strang, DBA, is a Boston-based consultant in the areas of marketing, strategy and executive development, and an Adjunct Professor at the China Europe International Business School (CEIBS) in Shanghai. He has also held faculty positions in marketing and strategy at Oxford University and the University of Southern California, been a visiting professor at the University of Virginia, Columbia and NYU and a Fellow at the London Business School. Dr. Strang is the author of The Promotional Planning Process, and numerous articles and papers for a variety of publications including Harvard Business Review and the Journal of Marketing. He has more than 25 years of experience as a consultant for clients in a wide range of fields, including IT, telecom, universities and healthcare systems, as well as companies involved in manufacturing and marketing pharmaceuticals and medical supplies. His administrative experience includes sales and marketing positions as well as over four years as president of an international specialty food company and six years as a business school dean. Dr. Strang earned his doctorate in marketing from the Harvard Business School, his MBA (in marketing) from Michigan State University, and his undergraduate degrees (in business and in history) from the University of Otago in his native New Zealand.